Just a few months after Michael Bay signed on to direct the Benghazi thriller 13 Hours, The Office star John Krasinski is in talks to join the cast. The actor will play one of the lead roles as a Navy SEAL in this thriller based on the true story of a 2012 attack on a U.S. Special Mission Compound and CIA annex in Benghazi, Libya. Other actors such as Walton Goggins (Justified) and Shea Whigham (Boardwalk Empire) recently read for roles in the film, but Variety's sources said Michael Bay was blown away by John Krasinski's reading. The plot is based on Mitchell Zuckoff's book Thirteen Hours: A Firsthand Account of What Really Happened in Benghazi, which details the attack and the six members of a security team who fought to defend the compound. The attack claimed the lives of U.S. Ambassador Christopher J. Stevens and a foreign service worker, with two contract workers also killed in a second attack at a nearby CIA facility. The project is said to be much smaller in stature than director Michael Bay's Transformers franchise, with the size and scope of 13 Hours being compared to the filmmaker's 2013 true story adaptation Pain & Gain. Chuck Hogan (The Town, The Strain) wrote the adapted screenplay, with Erwin Stoff producing through his 3 Arts Entertainment company. No production schedule was given at this time. 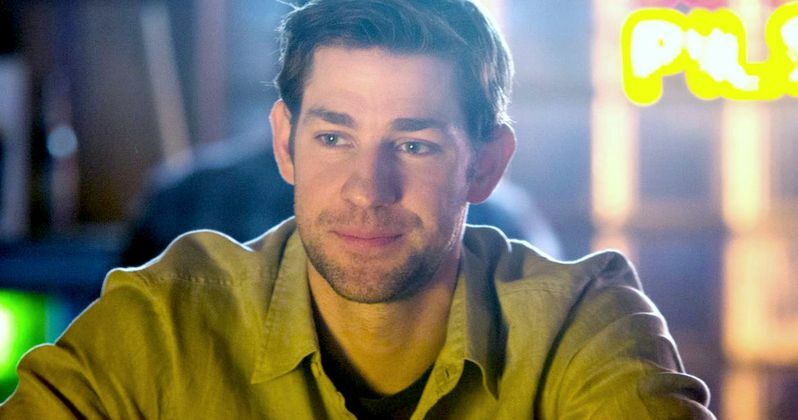 John Krasinski will next be seen in the Untitled Cameron Crowe Project, which is set for release this May. He most recently provided his voice for animated movies such as The Wind Rises and Monsters University.